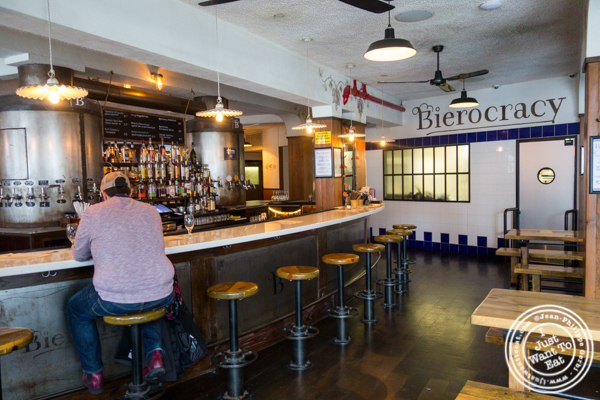 We were walking on Jackson avenue in Long Island City, on our way to a restaurant when we noticed Bierocracy, a Central European beer hall. As it started to rain hard, we changed our plan and thought it could be nice to go there for lunch, dinner being probably packed and noisy. And we were half right: the place started empty but they had two parties: one on one side of the bar room and another one in the back, where they have a private room. Beer wise, they have quite a large choice of beers from all over and I settled for the Omegang GOT: King in The North, a straight reference to the fantastic HBO show. 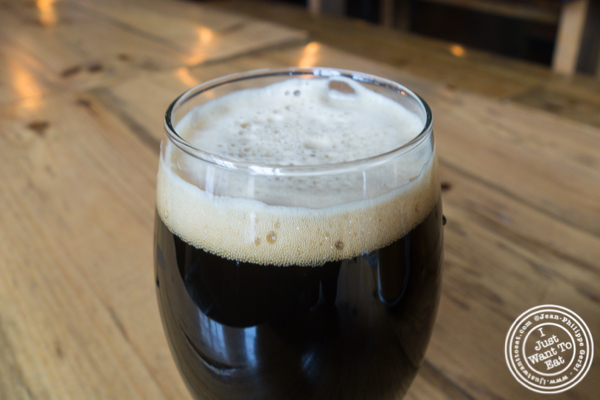 This dark beer is a limited edition imperial stout that is aged in bourbon barrels for 6 months. With 11% ABV, it has a chocolate finish that is quite surprising and matches the color of the beer. 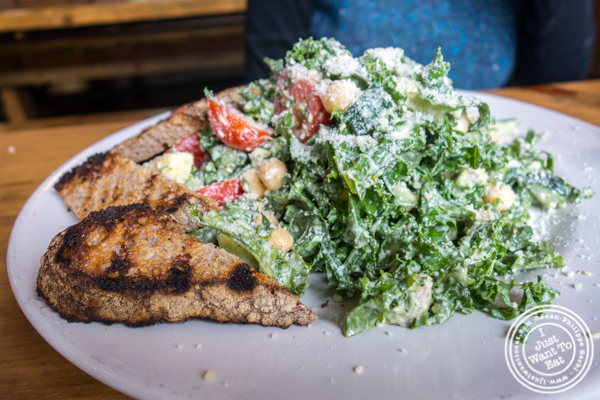 For her main, Jodi chose the winter kale salad that was served with avocado, Chickpeas, cucumber, tomato served with tahini dressing and sesame seeds. She added some Parmesan to it. On my side, I opted for the sausage platter composed of Bratwurst, chicken kielbasa, bockwurst and kielbasa. It was served with sauerkraut. I liked it: comforting, my favorite was the bratwurst and then the kielbasa, both being made with pork, that as a more flavorful taste than chicken. 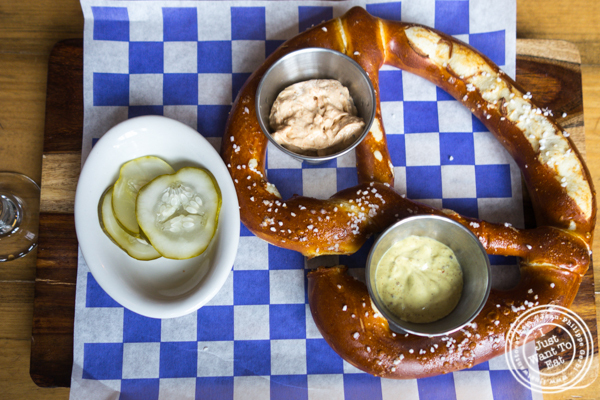 We had a nice meal at Bierocracy: rustic and comforting. If you are in the area, you should check it out!